Affordable Veterinary Service is different from most veterinary services in the area. We not only provide traditional animal services but we also provide veterinary pharmacy services. Not many veterinary care facilities in Dansville NY offer specific pharmacy care. Our team is trained and certified to help your pet feel better quickly. We also specialize in preventative care, disease detection, medical and surgical care and more. For more than 15 years, the residents of Hornell NY, Dansville NY and the surrounding areas have brought their pets to Affordable Veterinary Service for the best pet care. Call today to schedule an appointment with one of our caring veterinary nurses. When your pet is feeling under the weather the whole family is affected. The children know when their pet is sick and it makes them sad. You can also tell when your pet is in pain and it is stressful when you can’t help. Bring your pet into Affordable Veterinary Service for all of your pet care needs. Just like humans, pets need to receive preventative care services. At these appointments, our team can review your pets’ health including their diet, their activity levels, any sicknesses they may have and any strange or unusual habits that have developed. It is also important that we discuss grooming. Although it may seem like something that is a luxury care service for your pet it does have many health benefits including cleaning out the ears for better hearing and prevention of disease. Often, when pet owners hear the word disease in regard to their pet, they often think the worst. This is not always the case! Rabies, dental disease and intestine disease are all curable through medication or minor surgery. With regular visits to the vet, we can monitor your pets’ health throughout the years so that we can catch diseases early and treat them before the problem becomes serious. We can also help your pet stay up to date with vaccinations that will prevent heartworm, ticks and fleas which can all cause disease within your pet. If your pet needs surgery, Affordable Veterinary Service can provide these veterinary services to your pet. Veterinary surgery is much different than human surgery and takes specialization in order to perform the procedures correctly. Our team is trained and certified to provide all surgical needs. Affordable Veterinary Service also has the ability to prescribe your pet with top pharmaceutical medications in order to prevent disease as well as to cure an existing condition. Regular visits to the vet are crucial for the health and well-being of your family pet. We understand how hard it is to handle an ill pet. 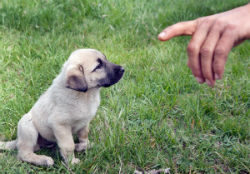 It is especially tough on the owner because you cannot communicate to your pet in the way you can with humans. You cannot ask them what is wrong or what hurts. That is where Affordable Veterinary Service steps in. We provide affordable medication at our veterinary pharmacy! Our team is experienced and trained to handle these types of situations. We can determine what is making your pet feel sick and provide an appropriate plan to make them feel better. 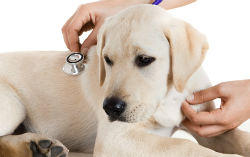 Often times, your pet needs to take a course of antibiotics to clear the infection or virus. Our staff specializes in veterinary pharmacy services and can provide the right prescription to have your pet playing and feeling better quick. We prescribe the top brands of antibiotics for your pet including Frontline Plus, Revolution, Heartguard, Sentinel and more. Visit our online pharmacy today to purchase medication for your furry friend. For the best animal services including veterinary pharmacy services, Affordable Veterinary Service is the team to call. We are proud to serve the residents and pets in Dansville, NY, Hornell, NY, Bath, NY and the surrounding areas. We are located at 17 Bennett Street in Hornell NY. We are available for appointments Tuesday through Friday from 9 a.m. until 5 p.m. Call 607-968-2129 today for more information or to schedule an appointment.